These s’more cookies from Culinary Couture are the perfect make-ahead treat. Who says donuts are for breakfast? These Canned Biscuit Campfire Donuts from Thoreau’s Daughter look amazing any time of the day. This Dutch Oven Cobbler from Completely Delicious only has six ingredients, thanks to cake mix. The Apple Crisp recipe from Cooking with Jax would work well over a campfire. Throw a few jars of this Banana Pudding from Simply Sifted into your cooler before you head out on your next camping trip. 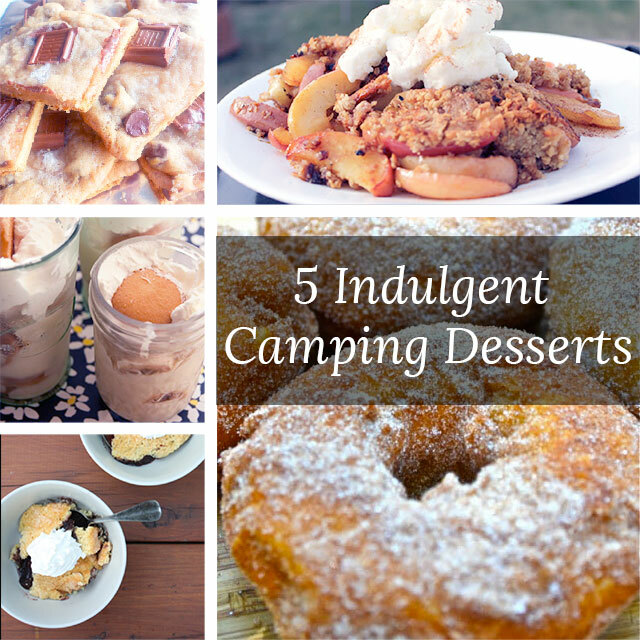 Follow The Camp Gal on Pinterest to see other desserts that I’m pinning.